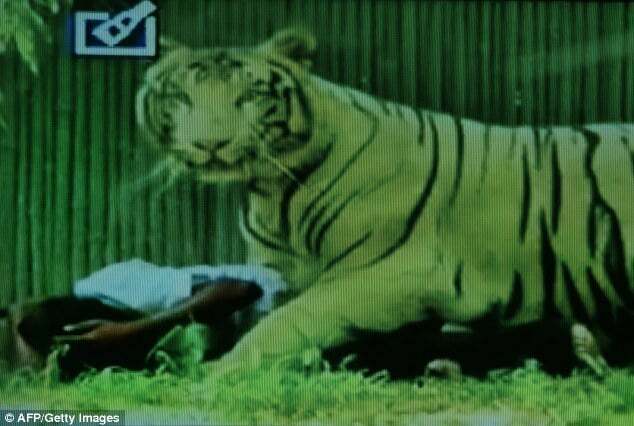 Video: White tiger mauls drunk Indian man at New Delhi zoo. 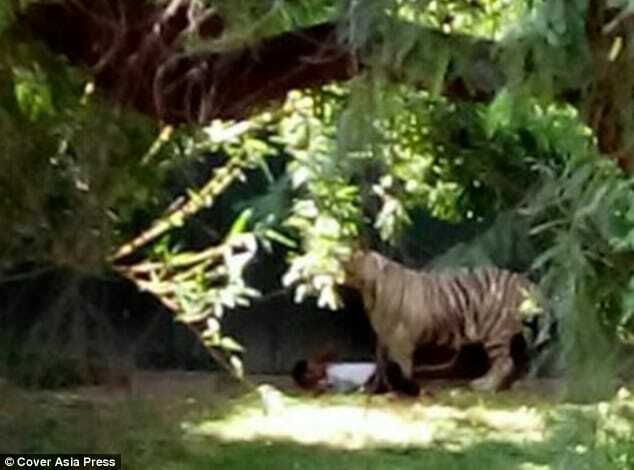 Home Scandal and Gossip Video: White tiger mauls drunk Indian man at New Delhi zoo. Could a zoo have prevented a local man from being mauled to death by a white tiger? 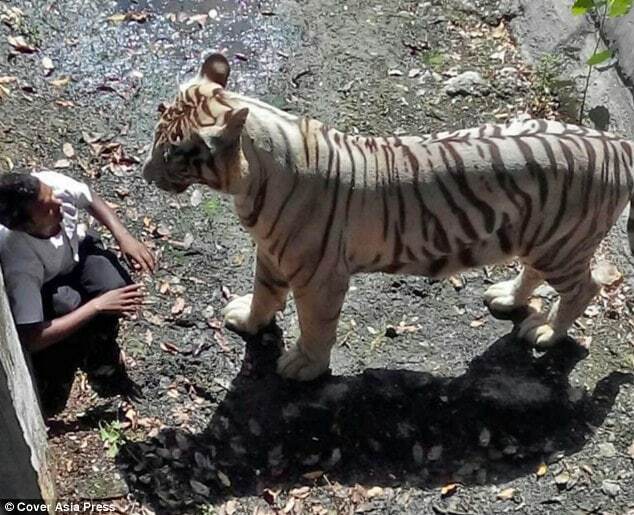 A white tiger has mauled a drunk Indian man to death at New Delhi zoo after the man allegedly jumped into its moat this Tuesday. Witnesses say the 22-year-old man, named Maqsood entered the enclosure despite several attempts by zoo security to keep him from the tigers. Once the man had jumped into the enclosure, the tiger grabbed him by the neck as onlookers took to throwing sticks and stones at the animal in an attempt to save him. ‘Despite repeated warnings that he shouldn’t get too close to the outdoor enclosure, the man eventually climbed over a knee-high fence and small hedges, then jumped down 18 feet into a protective moat,‘ National Zoological Park spokesman Riyaz Ahmed Khan said via AP. The zoo remained open Tuesday afternoon, though authorities eventually roped off the tiger enclosure. At present the zoo is fielding criticism that it waited too long before intervening and that rather than jumping in the man had fallen in over low bank enclosures. Officials would later tell that they were preempted by the fact that they were not armed with tranquilizers to subdue the tiger.